This is part 6 of the Freelap Friday Five Series, Season Three. To review the past 37 interviews, click here. Gabe Sanders enters his 6th season as an assistant coach with the Boston University Track and Field programs in the sprints, long hurdles and sprint relays coach, as well as recruiting coordinator. In 2012, Sanders coached 12 individual conference champions and two relay champions. Those results included three conference meet records. On the men’s side, Sanders coached the America East Most Outstanding Performer during both the indoor and outdoor seasons. Sanders’ event areas also achieved three school records and four NCAA First Round marks in 2012. For his group’s success, Sanders was named USTFCCCA Northeast Region Indoor Men’s Assistant Coach of the Year. Friday Five is sponsored by Freelap Track and Field, a leader in electronic timing. Q1) Gabe, you are a sprints coach in the northeast, and being a former Michigan guy yourself, can you share what things must be done differently when dealing with athletes who don’t have access to softer surfaces during long indoor periods? What are your ways to get athletes ready physically and mentally when competing against other teams locally and nationally? Gabe Sanders: In the north/northeast when we may not have access to softer surfaces during the colder months, (mechanical deficiencies aside) the legs can take a true pounding on harder surfaces and at some point, something’s got to give. A simple solution is taking a step back and instead of thinking in terms of specific activities in isolation, thinking in terms of training effect and overall workload. Yes the best way to sprint faster is to sprint, yes the most direct and specific means of energy system development is extensive and intensive tempo work, but there are indeed ways to attack these modalities in non-specific ways. For example, for acceleration work, a heavy supplementation of horizontal (heavy) medicine ball throws is a good power development exercise that is along the same movement pattern you see in acceleration. With tempo work, properly sequenced general strength routines can have a very similar training effect as direct running itself in terms of both energy system development and recovery. My acceleration sprint volume for the day may only be 150-200m, but I can still walk away feeling good with the supplemented 20 med ball throws for the day. My tempo volume for the day may ‘only’ be 1000m, but I can still walk away feeling good from the supplemented body wt. and medicine ball routine work I programmed in. Q2) You have been very open about learning from your mistakes, especially with exercise or drill selection. Now that you are more aware of the limits of applying things to the context of your situation, what new things are you doing now after learning the hard way in the past? Gabe Sanders: It’s funny answering this question just based on the way it’s phrased. When you ask me about what “new things” I’m doing, I’d say I’m doing really just a lot of old, simple things more. My general outline of training athletes has become just that, general. As vanilla as it sounds, I understand that fancy workout schemes and training modalities mean nothing if fundamental movement patterns and baseline (energy) system demands aren’t being met. Being enamored by an acceleration scheme calling for volumes up to 500m-600m and distances up to 50m means NOTHING if the athlete cannot effectively and efficiently push through the first 5-10m. Being enamored by a fancy single leg movement in the weight room won’t get you nearly the return as getting an athlete to effective and efficiently squat (in some form) with load. This is especially true with more novice athletes, even at the collegiate and elite level. In my personal experience, the more specific and specialized an exercise or drill, one has to remember those that are effectively getting gains with them are those that already have these baseline qualities I just spoke of readily established both within the season and more importantly within their career. Even then, at that point these “specialized” movements are a small percentage of what these athletes/training groups are doing that are getting the most gains, which is usually sprinting fast with sprinters on a consistent, sequenced basis. Q3) Injuries will happen from time to time, and you have worked with some great people in the medical side with Travis Skaggs and your team locally in Boston. Can you share how you create a dialog with sports medicine as that seems to be a challenge with many sprint coaches? Communication is key and I am sure collaboration is difficult administration wise. Gabe Sanders: You’ve already answered your own question with one word. Communication. Communication, communication, communication. You honestly can’t do enough of it in my opinion with sports medicine. It’s better to over communicate in this relationship than under. With that it’s best to establish a routine. Are you checking in on a daily basis? Are you having a weekly meeting? Is it simply a weekly report of athlete status/progress? Whatever it is I can tell you one thing, if the extent of your communication with the training staff is the athlete being sent in and them coming back and you asking them, “what’d they say?” That…doesn’t…work. Face to face is best 100% of the time as things are lost in translation sometimes between the athletes and even in reports. From there you have a better understanding of limitations on your/the athletes part, and in many cases you’re able to clarify with the training staff just exactly what you need out of training. Is there an intensity limitation on running? Maybe then explosive movements such as multi-jumps, multi-throws, and/or Olympic movements can supplement the workload. Is there a limitation on pure volume? I’m going to make mine count with high level cns work with sprints first and supplement my tempo work with general strength modalities. Much better to have this understanding, rather than a report saying “Limit activity” or the athlete telling you, “They said I can’t practice.” Lastly, collaboration is not difficult if you make it a priority in your overall programming. If you want your athletes to have good care and be able to work them back to full capacity, bring the athletic training staff in as the track staff. Q4) In your Coaches Choice video Growing as a Sprints Coach—Common Mistakes Along the Way and Their Value, your discussion about feedback being consistent, concise, and clear was one of the best educational videos out there. Can you go into other examples of dealing with athletes that may have attitudes or working with athletes who sometimes are divas? Not all coaches are blessed with the best personalities as talent sometimes comes with imperfect baggage. Gabe Sanders: Establishing that everyone’s on the same team is huge in this instance. This can and should take place before the first practice. Working out and establishing joint goals can go a long way in cultivating an atmosphere away from “me” towards “we”. Putting a plan in place and sharing that plan tends to puts athletes minds a little more at ease (well, depending on the workout not so much at ease!) so they are feeling informed and have a bit of input. There are indeed cases in which bending a little on what you might absolutely want out of training can go a long way in what you get out of the athlete. If I can remember correctly Dan Pfaff has been quoted as stating Donovan Bailey never trained over 150m because he (Donovan) “ just didn’t feel he got anything out of it” but Dan was able to manipulate his scheme to fit Donovan’s training set up. That being said, you must trust you training and teaching knowledge and stick to it. An easy way to reaching these “diva” athletes are simply to point out progress. The proof is in the pudding and it’s hard to argue with results. 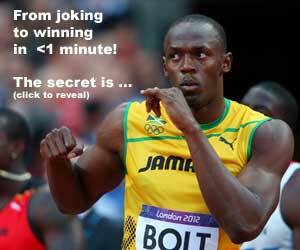 READ What do Bud Winter and Usain Bolt have in Common? Gabe Sanders: Simply put, we don’t give the human body and mind enough credit as a problem solving mechanism. We can get very eager to jump in and cue when in fact it will do nothing but complicate matters for some. In most cases your best bet before you jump into an array of cues is simply finding the cue that will give you the most bang for your buck in terms of a domino effect. Take a block start for example. Things many of us hear is “low heel recovery,” or “big (arm) split” or “push the hips”. All of these are very isolated cues that can have a tendency to have a poor cause and effect relationship with other aspects of the movement. Furthermore you may be cuing actions that are taking place in milliseconds and are in fact more reactions rather than actions themselves. Instead, being sure the athlete is in a good set position and cuing an action and holistic concept such as “push and rise” can give you a huge bang for your buck. Remember, we don’t need to cue every single piece of movement from the athlete, simply cue them enough to illicit the overall response we’re looking for. Secondly, when you are in a case where things just don’t seem to be going right, step back and rather that going over your own personal cue inventory, take a moment and ask them, “What do you think I’m asking you to do? Show me.” Many of us will be shocked what the athletes are interpreting from us! Doing this in and of itself will help you reevaluate your cuing inventory, and more importantly help you further learn how to communicate with specific athletes. Excellent blog & good read top. Very interesting. It wld b nice 2 hear what other Coaches out there really think of the statements written in this blog.., & what their comments would be.